We are an Ismaili owned & operated tour organizers based in Mumbai,India. 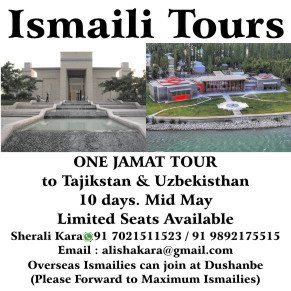 We are organizing an ONE JAMAT Cultural group tour to Tajikstan & Uzbekistan for 10 days ALL INCLUSIVE in Mid May. for info please see below link.